What do Broadway plays, theology school, and a book club have to do with Palestine? 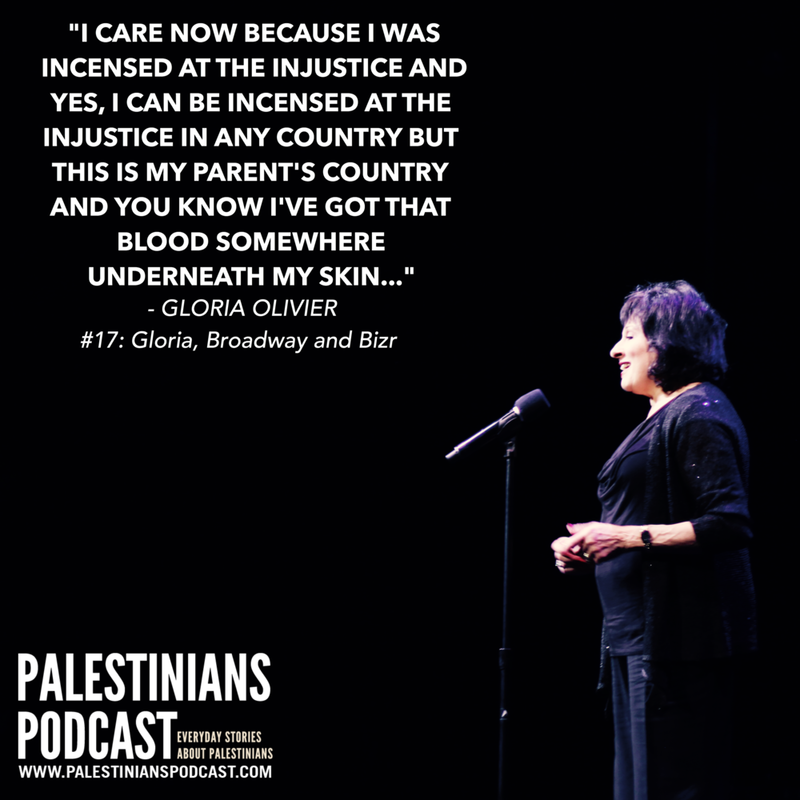 You'll find out in this week's episode of Palestinians Podcast when we hear from Gloria Olivier. This dynamic episode features an in depth interview with Gloria at her home in New England and also includes a story she told at Palestinians, Live! in October of 2016 in Boston. Gloria's life journey is filled with unexpected twists and turns, and we hope that you enjoy listening to this episode. To read more about Gloria's Broadway days visit our blog.